First edition 1st printing, Very Good book with mild rubbing on boards, light edge wear, slight rubbing on spine, soft spine ends, and with a touch of sun fade along edges of boards. In a Good to Very Good, price-clipped, dust jacket that has edge wear, small chips, several small closed tears, color loss along edges and folds, has an internal tape reinforcement at top of spine. Colors remain vibrant and lettering on spine is not faded as is often the case. 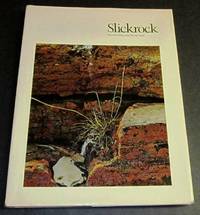 First edition 1st printing, Near Fine book with slight edge and shelf wear, in a Good to Very Good jacket that has age yellowed, with edge and corner wear, several small tears and chips, price $27.50 present on front flap. The canyon country of southeast Utah discussed and shown in numerous color photographs. An oversize coffee table book. 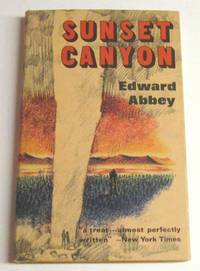 First edition, 1st printing, Near Fine book with slight bumps top corners, no dust jacket as issued, in a Very Good, matching oatmeal cloth-covered slipcase, with some frays along edges, small area of splitting along top right corner, and with slight soiling. This is a huge book, illustrated with beautiful color photography by Muench. An ode to the deserts of America. Very heavy, extra shipping likely required. First UK edition of Abbey’s fourth novel titled Black Sun in the U.S. Very Good to Near Fine book with crimping at bottom of spine, light offsetting to paste downs and facing end pages, two light brown smudges top of back board, and touch of dusting top page edges; in a Near Fine jacket with slight edge wear, pushed with slight color loss bottom of spine and bit of rub and curling top edges of flaps. 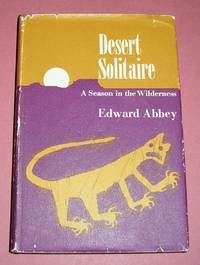 Abbey’s fifth book, scarce in the UK edition. First edition 1st printing, in oversize, color wraps, excerpts from the well known magazine published by Ackerman. A Near Fine copy with touch of edge and corner wear, small dog-ear crease top corner of back cover. Unusual and scarce; this copy signed on an Ackerman bookplate by Ackerman and actress Bobbie Bresee, both of whom are pictured on the cover. 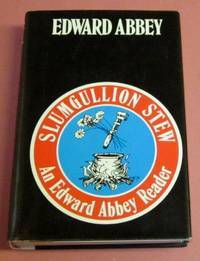 First edition 1st printing, Fine book in a Near Fine jacket that has touch of rubbing aAnd light overwrite impressions on back panel. A very large and heavy coffee table book with over 100 duotone photographs by Adams. Text is on matte gray pages. Beautiful production. Extra shipping may be required. First edition 1st printing, Fine book in a Very Good jacket that has touch of rubbing and light overwrite impressions, some mild crazing to mylar covering. In a Fair slipcase that has rubbing, soiling abrasions and some splitting along seams. A very large and heavy coffee table book with over 100 duotone photographs by Adams. Lengthy introduction by Stegner. Beautiful production. Extra shipping may be required. 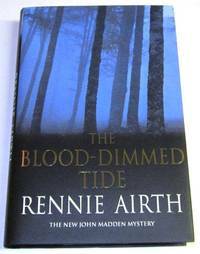 Macmillan, 1998 First UK edition 1st printing, Fine minus book with minor edge wear and slight page waving in a Fine jacket. 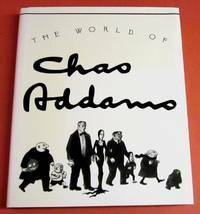 This copy signed by Adams on the title page.. Signed by Author(s). 1st Edition. Hardcover. Fine/Fine. 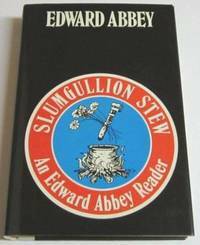 First UK edition 1st printing, Fine minus book with slight touch of dusting top edges and slight page waviness in A Fine jacket. 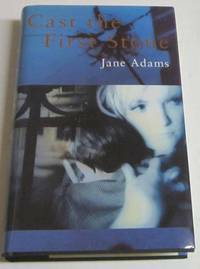 An unread copy signed by Adams on the title page; her first mystery. 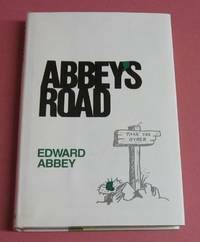 First UK edition 1st printing, Near Fine book with light page edge yellowing and slight page waving in a Near Fine jacket that has small area of scratching on front panel. Adam's second mystery. An unread copy signed by her on the title page. 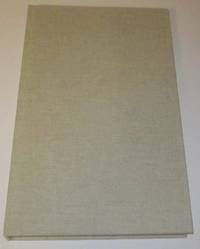 First edition 1st printing, Near Fine, large book that is about 12 x 9 inches. Book has light shelf wear, slight fading along bottom edges, with page block slight bowed away from spine at top; in a Near Fine, price-clipped, jacket with light rubbing both panels and several light overwrite impressions back panel. Introduction by Wilfrid Sheed. 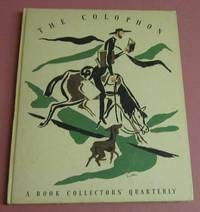 Hardcover, magazine size, quarterly for book collectors’. 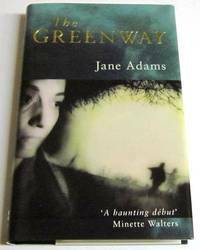 Book is Very Good with slight soiling to boards and mild sun fade on the spine. No jacket. Signatures printed by different presses. Includes woodcut, A Charleston Window, by Charles W. Smith. One of 2500 copies. Interesting item in today’s digital world. 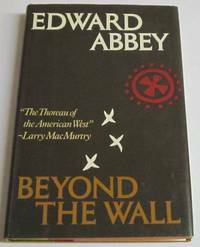 First UK edition, Near Fine, unread book that is lightly pushed at spine ends, with slight bubble along bottom edge of back paste-down, and with two minor bumps to top corners; in a Fine jacket. This copy has been signed by Airth on the title page. The first John Madden mystery. First UK edition, Fine minus unread book that opens easily to title page due to signing and slightest touch of waviness to page block; in a Fine jacket. 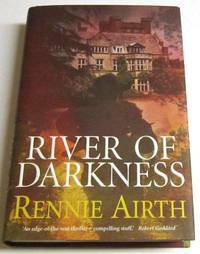 This copy has been signed by Airth on the title page. The second John Madden mystery.